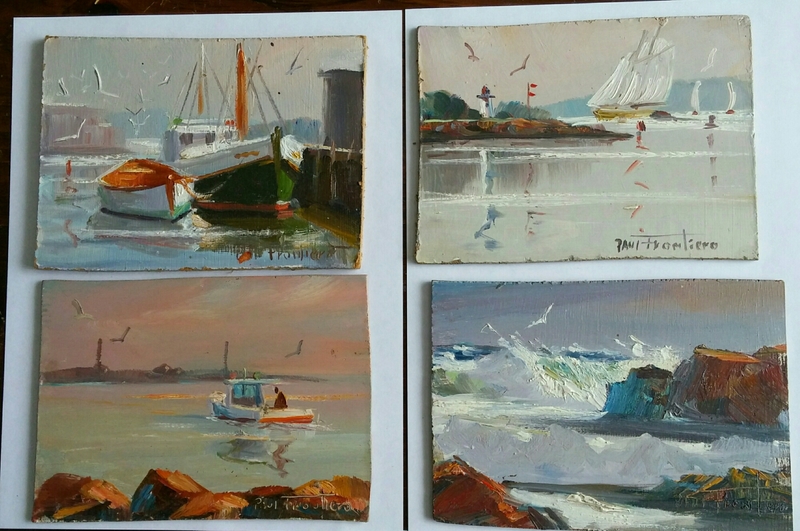 Cape Ann Art for sale or trade | "ART, ROCKS!" ← “The Pogues Featuring Fairytale Of New York MERRY CHRISTMAS! Also look for an updated post with larger paintings. I have about 20 5″×7″ oil on panel $75.00 each. Paintings by my Father the Late Paul Frontiero. There are also some larger 9″x12″ inch or 11″×14″ $150.00 to $200.00 each. Here are some of the paintings. if you would like to see what I have left call me for details. If your looking for a specfic family fishing boat I have many paintings that have the boats name on the back and alot untitled. You’d have to check them out at the commercial storage unit we have in Gloucester, Massachusetts. Order now and I can deliver the paintings on Cape Ann free. 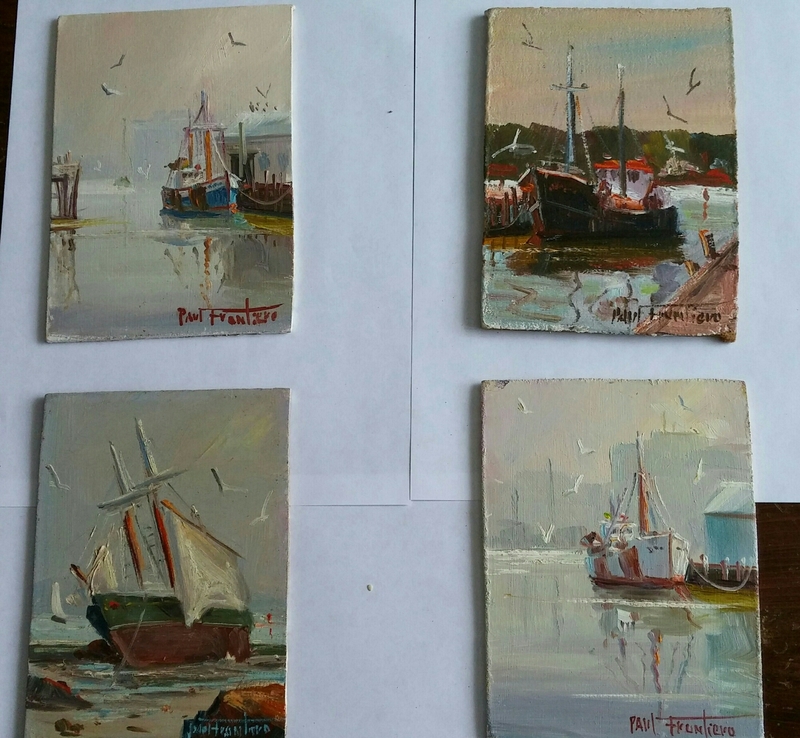 Once these small paintings are gone that’s it for any 5″×7″ affordable paintings by my Dad.